University of Houston-Clear Lake’s College of Education will prepare you as both an educator and a leader to become a powerful force for change in and out of the classroom. Earn a bachelor’s degree with one of nine teacher certification options or explore our ten graduate programs and two doctoral degree programs to find your perfect fit. At UHCL, we’re big believers in hands-on learning, and our program is known for getting students into the field early and often. Through professional development school sites, local partnerships and innovative classes, our students graduate with plenty of real-world experience. Personal guidance from our expert faculty ensures you’re getting the most from your time here. Our alumni lead schools and school districts all over the state as well as many other educational organizations and businesses, and our Texas teacher preparation will put you ahead of the curve. Clear Creek Independent School District and the University of Houston-Clear Lake have reason to celebrate their 15-year partnership which established McWhirter Elementary School as a Professional Development Laboratory School. 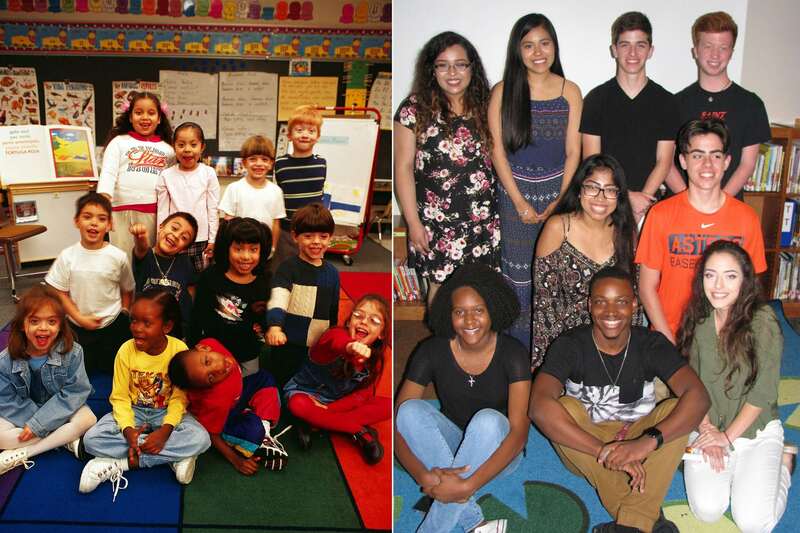 The program's first kindergartners have graduated high school. Habitat for Reading provides a unique opportunity to help prepare skilled, community-minded librarians and literacy professionals while helping local families improve their children’s educational outcomes. The program works closely with the Habitat for Humanity organization to develop home libraries custom designed for each Habitat family. Each collection is designed for the age-level and interests of all children living in the home. This special gift helps families see the value of education and take positive steps to create a better future for their children through the simple and powerful habit of reading. Emphasizing childcare from birth through age 5, our new Early Childhood Care and Education B.S. will provide both the knowledge and the field experiences necessary for students to become leaders in the early childhood care workforce. University of Houston-Clear Lake will begin offering the degree in fall 2017. Learn more about our degree offerings. Dedicated faculty provide all students in University of Houston-Clear Lake’s College of Education with the most useful instructional experiences, both inside our classroom walls and in the greater community.